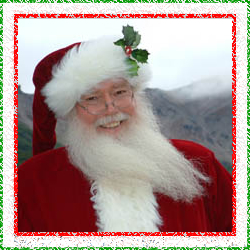 This Washington Santa might look familiar – he is very popular and is known as the Northwest’s most memorable St Nick around. With a perfect Santa beard (real), this Santa Claus is ready to bring the magic of the holiday season to you and your family. Don’t be afraid to schedule your Santa appearance very early – make the most of the season and hire the best Santa around.